Khatri Anwar Issa & Co.
We have built a full-fledged Lab suitable for development work. A pilot plant to complement the Lab is also being set up. Scale-up facilities and the necessary analytical tools are in place. Analytical Method Development and related functions form an integral part of this process. This activity can lead on to commercial process development and potentially, manufacturing of the final molecule. Electronic Manufacturing Services (EMS): Our company is an electronic manufacturing service (ems) provider. We are providing total outsourcing solution to our international clients through value engineering and interactive design. 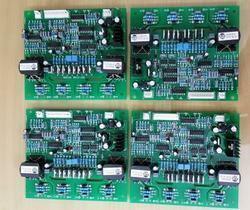 We are in to the PCB Contract Manufacturing. So if you have the design ready with you and unable to produce in large quantity, then we can help you. We have very good exposure of almost 20 years for manufacturing of any electronic product. This is to inform you that BLACK QUBES, the electronics manufacturing company has started a working wing to intake outsourcing from reputed companies in kerala. WE ARE ALSO SPECIALIZING IN MAKING JIG & FIXTURES FOR GENERAL ENGINERING SPARES. BSNY Electronics is electronics service provider based in Panvel Navi Mumbai. BSNY Electronics is capable of assembling Telecom Instruments, Consumer Electronic Products, Domestic Appliances and Automation Products. - We have complete facility to take orders for Contract Manufacturing. 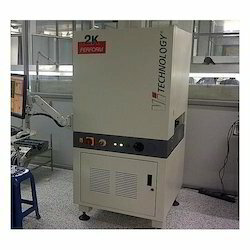 - We have Wave Soldering Machine which can produce at high speeds with variable dimensions and sizes. - We are ready to negotiate the rates. - We have complete testing Laboratory to test the output PCB's.